About Me: I HAVE A NEW OWNER!!! I was born in 2001 in the Netherlands and immigrated to the United States in 2005. My dad's name is SAPE 38. He is pretty famous and you can click here for family photos. I am looking for a long term relationship. 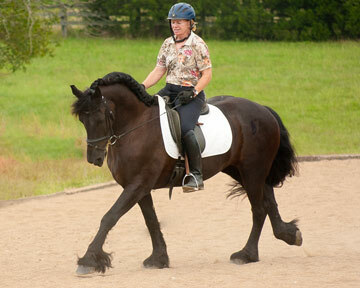 I am told that my dressage training is excellent, that I carry myself well am very easy and comfortable to ride. I am not of huge in stature but can carry a larger rider with ease. They say my great looks and uphill build come from dad's side and my dressage training comes easy for me. I would like to get back to some horse shows soon. Everybody loves me and likes to see me strut my stuff. The judges love me too and I received a USDF performance award with my Jr. rider at First Level. I am ready to go out right now and prove myself at Second Level and have lifetime USDF/USEF numbers. Anybody can get me on the bit easily and sit my trot. I like to have fun and am all business in the ring. No flower pots ever distracted me! I know my job and if you read the book you can ride me well. I don't have any issues with soundness or vices or any of that you need to deal with. I am neat in my stall and very very easy to live with. I am a low maintenance guy and my hair style is easy to manage too. I love to take long walks and will go pretty much anywhere with confidence. I can't remember the last time I even snorted at anything and consider myself to be safe and very sane. I want an owner that will love me. I am very gentle and affectionate. I can help anyone gain confidence. I am not partial in any way to age. I am just as happy with a younger rider who wants to have fun and do some dressage as an older person who needs an unflappable and very comfortable dressage horse to ride that is easy on her back. So if you are or know a very deserving lady please talk to my matchmaker Jeff Johnson. Christmas can come early and I don't want to wait. Jeff likes to ask questions and knows me well. If he thinks you are my match, he will help us meet each other. If you think you might be right for me, call or email him right away! 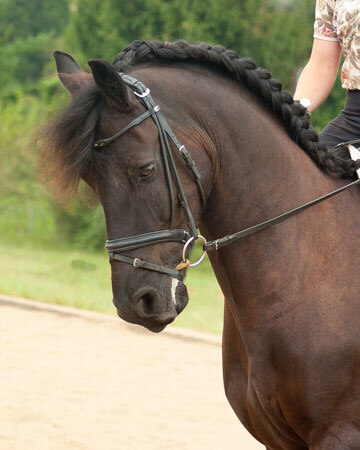 Eef has very lovely gaits that are wonderful to sit, a natural uphill build and climbing canter. He is a joy to be around and never sets one foot out line in any situation. Eef is forward and light in the contact, very easy to ride movement and is exceptionally safe fun and has successful showing experience including a USDF performance award. He is a willing partner who likes his work, and has a heart of gold. Eef is a real confidence builder for a less experienced or timid rider and a more experienced rider will truly appreciate his balance and effortless movement. No health or soundness issues and sadly for sale due to change in his owner's circumstance.